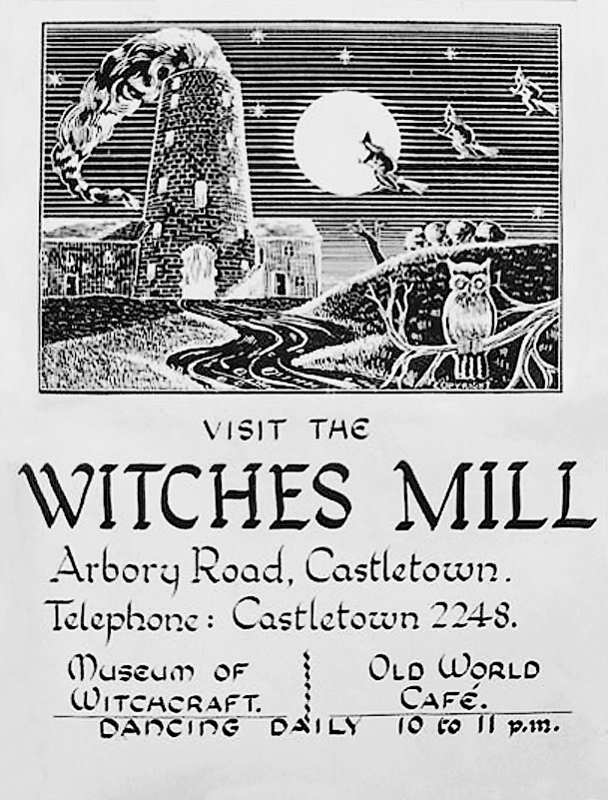 One of my amazing commenters, Cloven Hoofed, has sent me a remarkable copy of an advertising poster for the Witches Mill. Wouldn’t it be something to go back in time & dance with Gardner at the Witches Mill? 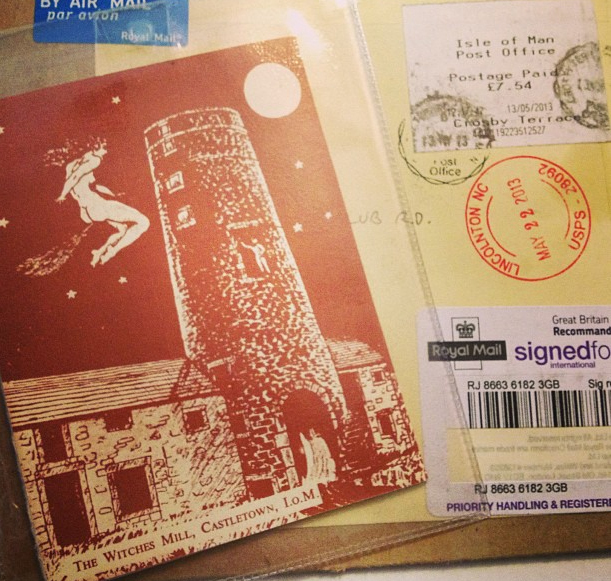 “I have a friend who lives on the Isle of Man, he’s a bookseller and knows a lot of local people – he also knows that I’m interested in acquiring Witches Mill / Gardner-related items. A contact of his on the island has a large collection historical documents of all kinds relating to the history of the place and she gave him a photo-copy of the poster to give to me……. 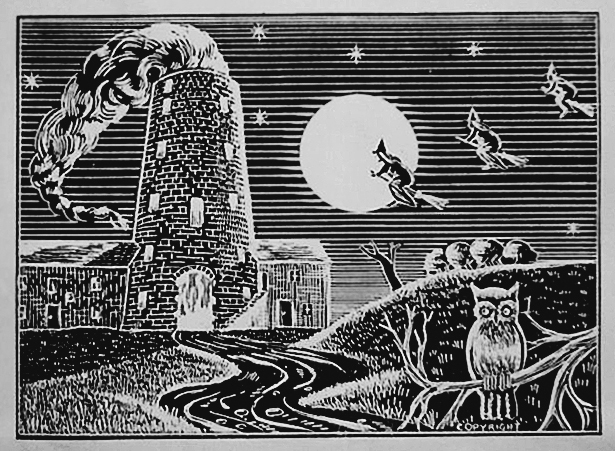 I guess most of us know the standard GBG drawing of the witch flying over the tower – but I haven’t seen this drawing before. Did Gerald have a hand in it’s making? If not, then who commissioned it? Gerald, Monique Wilson? Was the dancing at the Mill during Gerald’s lifetime? Could the phone number a reliable indicator of the date? We have our own theories. What do you think? I would love to have a full size wall poster of that, it looks fabulous!